€515.00$561.35£448.0514% off Out of Stock. ORV COMANDER 4 in 1 has all function of OPEL commander,RENAULT commander,VOLVO commander and TAG KEY TOOL.ORV key programmer can be used to read and erase trouble code,read security code,Read/Write EEPROM and Odometer correction. Commander for OPEL/VAUXHALL is professional software for diagnostic of Opel/Vauxhall vehicles. It is capable to perform a diagnostic of any unit, which operates under one of the following protocols:Keyword 82, Keyword 2000 and GMLAN. It provides some unique functions, which are not supported by any other diagnostic tool. - Instrument Panel Cluster - Astra G; Corsa-C; Meriva; Tigra-B; Vectra-B. NOT SUPPORT TRW IPC! Commander for Renault is professional software mainly for programming the new key/card of Renault vehicles. For volvo, this product can not read volvo pin code.it can do volvo mileage correction. Q:Can this tool be updated in future? A:Yes, it can, but can not update now. 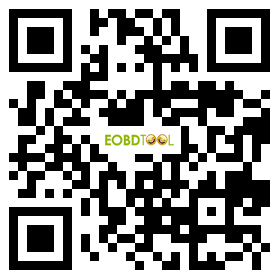 A:You can use orv as same way as tag key tool,it need open your IMMO to read information. Q:Can your ORV also do renault key good? ORV key programmer can be used to read and erase trouble code, read security code,Read/Write EEPROM and Odometer correction. A:Yes,it can,but can not update now.